A Kawai and Chickering were in a tight race, until one took off and surpassed the other. 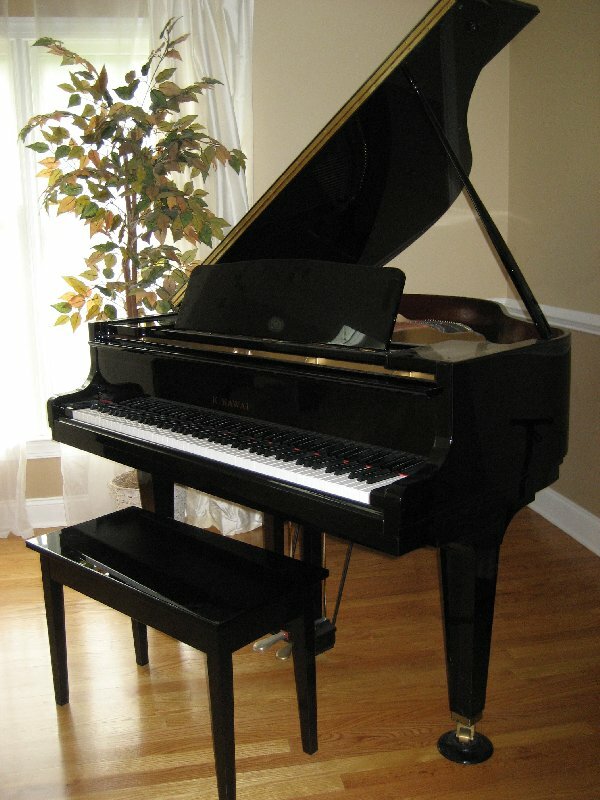 My whole Saturday was consumed with evaluating two pianos: a practically brand new “Kawai” 5’1″ grand and a larger, nearly 5’8″ size “Chickering,” 1980. The Kawai captured my interest because a smaller studio upright of the same brand had been purchased by my adult student, “Fujie” on the day she had journeyed from piano hell to heaven. Once she had laid her hands on Yamaha’s chief rival, it was a fait accomplis. The only other Kawai I had known up front and personal was the seven footer YORK had crawled under looking for money. Having enlisted me as a diving partner in this senseless expedition, I had my in depth view of a mammoth size piano that yielded absolutely no clue about its resonance or regulation. Only a journey back up to the deck, with a note to note review of 88 keys, produced a verdict. If I had stepped on pebbles, it would have produced the same effect. So now I realized that Kawai had gone miles to improve its pianos after Fujie had acquired a tonally gorgeous and well regulated instrument that sent me scurrying to check out the bigger model. My piano-seeking adventurer had already rightfully declined a “Knabe” 1978 grand that was housed in a cedar trim residence, plush in the mountains of Mariposa, where bears and mountain lions lurked and kept the seller’s dogs chained in a protected area. While this particular piano was safely stored within a climate friendly room with indirect sunlight and at no risk for attack, it hadn’t struck a bond with me or Jean that would take it from its safe quarters. Jean turned out to be a stickler for detail in choosing the right piano. After she ran her fingers over the Kawai, I could tell her enthusiasm dwindled. Perhaps it was because she had checked out a Chickering grand the day before in a pollution hell south of Fresno–a journey purified by the heavenly sounds emanating from an ebony grand with an especially resonant bass. My curiosity peaked after she waxed poetic about it. 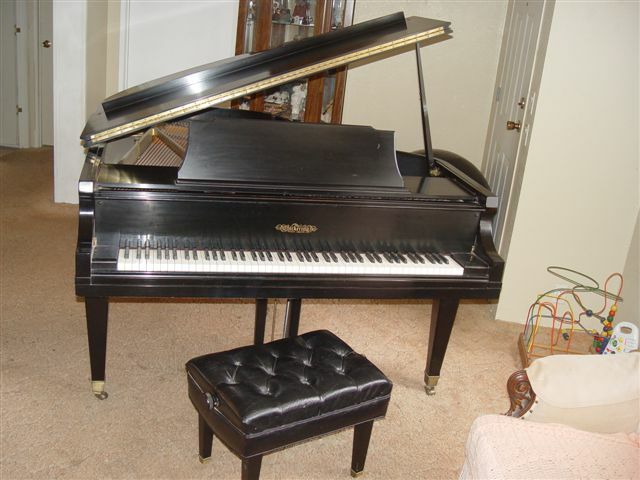 The Chickering located in Riverdale, California, had the old pedigree, and its one and only owner received the piano from her father who worked at Sherman Clay in Los Angeles and hand picked the piano for his grandson. This was a good beginning. The Kawai, though a worthy second place contender, was all but forgotten, though it had made a good run and should have rightfully acquired an appreciative owner. I had decided then and there to be its advocate and place it in a good home.